Rolling your own is cheaper than buying new ammo. You may even get a more accurate and reliable round. The bad news? If you don’t get it right, every time, you can blow up your gun. You have to start with the correct procedures and data. Lyman reloading handbooks have the latest data on modern components; every addition grows in size and quantity of data. Lyman handbooks have been the gun owners’ best source of reloading data for over 100 years. Lyman pioneered the concept of delivering a wide range of components to use in generating safe, accurate loads. If you don’t know anything about reloading, this is where you start. The manual is a critical resource for anyone considering reloading. Lyman’s 50th Anniversary Edition continues Lyman’s heritage as being the proven source for data. Lyman handbooks have always used the widest selection of cartridges, bullets and powder from all the major manufacturers. This 50th Edition is the only data source using multiple brands of components throughout the data. 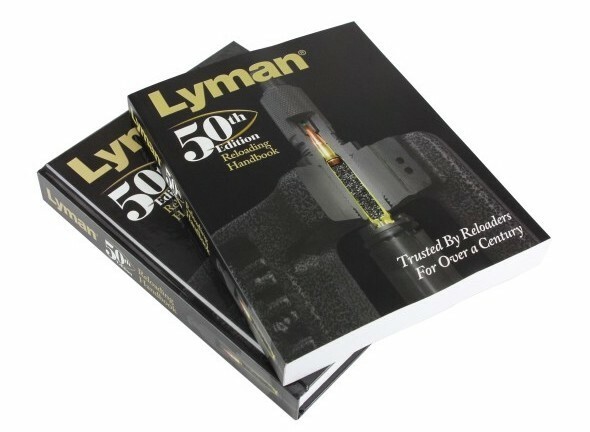 You can get your very own copy of Lyman’s 50th Edition Reloading Handbook right HERE for $31.95.